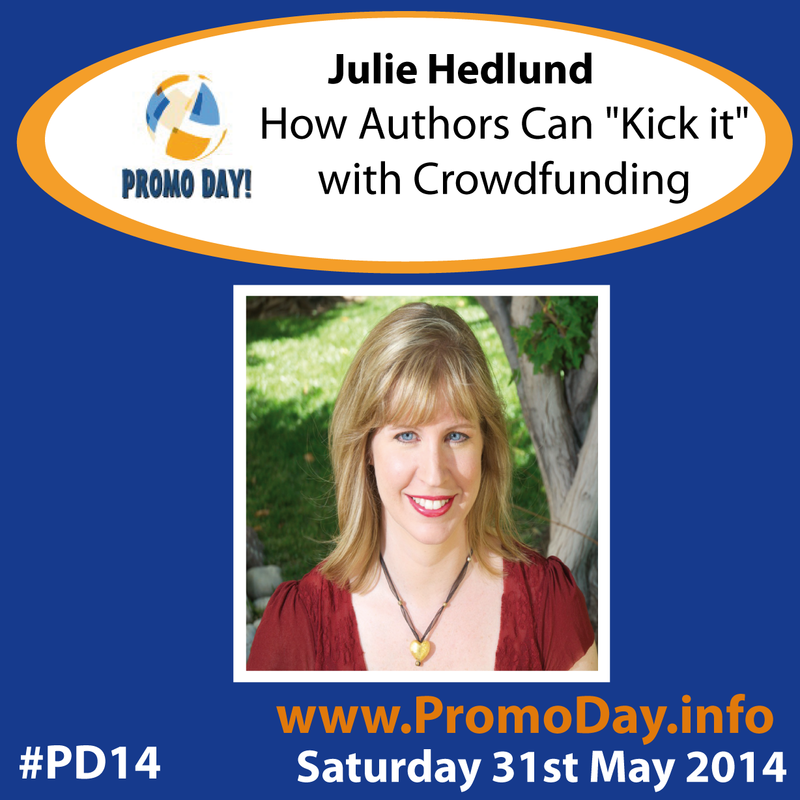 Julie Hedlund will be presenting at Promo Day on Saturday 31st May. Register now (it's FREE!) to take part in her webinar How Authors Can "Kick it" with Crowdfunding. Top 10 Steps to a Successful Campaign. Why consider crowdfunding your book? Julie Hedlund is a Children’s author. She’s had two books published as interactive storybook apps for the iPad by Little Bahalia Publishing -- A TROOP IS A GROUP OF MONKEYS and A SHIVER OF SHARKS. A print version of TROOP was released in fall 2013. Her next book, MY LOVE FOR YOU IS THE SUN, will release from Little Bahalia in Fall 2014. Julie is the creator of Julie Hedlund’s Template for Storybook App Proposals and the founder and host of the 12 x 12 picture book writing challenge, with more than 500 members. She is a monthly contributor on Katie Davis’ Brain Burps About Books children’s literature podcast, a PAL member of the Society of Children’s Book Writers and Illustrators (SCBWI), and a contributing editor on the subject of 21st Century Publishing for Children’s Book Insider (CBI). She has been a speaker at SCBWI, O’Reilly Tools of Change for Publishing, and other industry events.